Currently, in forums that host discussions about how museum professional practice conditions the behavior of visitors, especially with regard to engagement, the question has been posed: how are visitors being thought of by museum personnel in this age of marked concern with branding, marketing, and audience development and the generative relations among these promotional tools. [i] In the following I briefly relate my understanding of how the visitor in the last generation has undergone a subtle transformation into an autonomous consumer within a particular art museum I believe is representative of global shifts in the museum field, and I offer some explanations for why this change has occurred. In my recently submitted doctoral thesis, Museums, Discourse, and Visitors: The Case of London’s Tate Modern, I demonstrate that a key way to understand changes currently occurring in and to museums and with the behavior of museum visitors is to examine how the visit, that is the theorized interaction between the visitor and the museum, is currently being rhetorically reformulated. [ii] Through my research, which primarily focuses on the Tate galleries, I found that the museum visit is being conceptualized as a personally customizable experience focused primarily on meeting the needs and desires of the visitor. A visitor-oriented, personalized encounter with the museum is a relatively new occurrence. It differs markedly from the visit one would have expected to have a generation ago—which would have primarily been understood as a learning opportunity. That kind of visit was founded in a once dominant educative museology, which primarily regards the visit as an instance of information transfer from the curator, regarded as an expert and educator, to the visitor figure regarded as an ignorant student. In contrast to this, a visitor-centered idea of the visit, or a ‘personalized’ visit is oriented towards meeting the individual and varied needs of visitors. This personalized visit appears in the discourse around public art museums such as Tate Modern, being expressed by influential actors who shape this discourse: critics, curators, academic researchers, consultancies, museum directors, and government agencies. Based on the Tate Modern museum as a case study and the primary source of empirical evidence, my research demonstrates the appearance and evolution of this visitor-centered visit in and through Tate. I show its origination and development by tracing the conceptual evolution of the visitor figure through implicit accounts of the visit associated with Tate Modern. 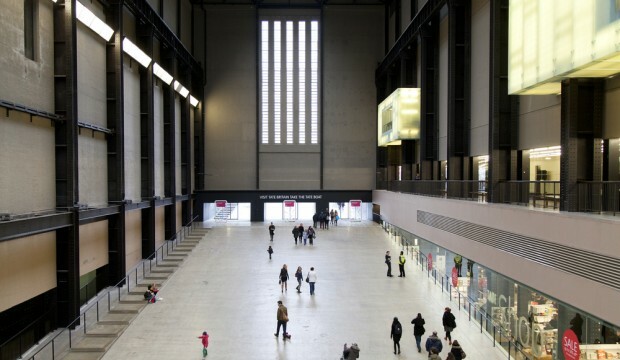 The accounts are located in academic studies, historical records, marketing reports, advertisements, and the public discourse convened around Tate Modern’s opening thematic displays that served as an extension of Tate’s marketing and audience development program. Not only does my research show that this visitor-centered visit exists, it also demonstrates how this visit is generated by particular economic and socio-historical forces and museological changes that intertwine to shape the current cultural context in which this visit is manifested. One pivotal development is the inauguration of what is termed a ‘new museology’, which, allied with a ‘turn to meaning’, has permeated the museum field. [iii] This new museology, essentially a new professional orientation towards the visitor as opposed to the collection and collecting practices, is a movement that conditions curatorial practice and the methodologies of research undertaken with regard to assessing and understanding the visitor’s experience. 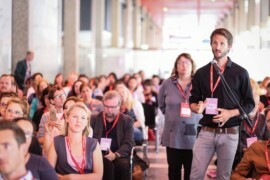 The movement began in Europe, most vividly manifesting itself in the policies of the supranational cultural organization the International Council of Museums (ICOM), that in the 1970s began a shift towards focusing on visitor education. At ICOM’s ninth General Conference in 1971, it adopted a resolution that rejected the ‘traditional concept of the museum’ with its priority of the objects of cultural and natural heritage (Weil, 1999, p. 237). Preceding that resolution by a few months, an International Museology Seminar in Germany, which took place under the auspices of ICOM, resolved that ‘Museums, in effect, are institutions that supplement school and adult education,’ and, ‘Museums the world over have a role as centres of research and education to assume in modern industrial society which can be given to no other type of institution’ (ICOM News, 1971, p. 40). By 1985, the wave that was swelling in Europe, was explicitly acknowledged in France, and the ICOM publication Museum registered the presence of a ‘movement of criticism and reform incorporating new developments in the social and human sciences with the aim of revitalizing techniques of display, exhibition, and communication’ (de Varine, 1985, p. 184). The second key development, specific to the UK, is the application of cultural policies formulated by successive political regimes that stipulated certain goals for museums and certain procedures and methods for achieving these goals. As the 1990s came to a close and the millennial opening of Tate Modern loomed, an older, educative museology vied with a visitor-centered one within the Tate Gallery for primacy in shaping the visitor’s relation to the museum. Each museology conveys a distinct orientation towards the visitor, and the nation’s political administrative changes fed into and complicated the opposition between them. The Thacherite government of the 1980s and 1990s, through the implementation of a ‘new public management’ (NPM) program under the aegis of ‘rolling back the state’ and rolling forward public enterprise, transformed the system of governance and management of museums in the not-for-profit sector, and reshaped their administrative practices. This NPM program effectively conditioned Tate to adopt management and governance strategies associated with enterprise culture, such as an increasing reliance on ‘value for money’ auditing procedures (Power, 1997). The Conservative administration imposed the idea of ‘value for money’ (VFM) as the chief rubric for assessing the worth of museums and galleries, and VFM was used as a goal for guiding the practice of museum managers. A value-for-money prescription levied under new public management also encouraged the use of outside consultants from the private sector to support important projects, and the formation of partnerships consisting of strategic sponsorships (Power, 1997). Other initiatives such as management restructuring, the use of performance indicators, customer care programs, corporate image-making, and promotion became part of the professionalisation of museum practice (Ross, 2004). In this regard the idea of public service was transformed into ‘one of professional expertise based on best practice’ (Dewdney, Dibosa, & Walsh, 2013, p. 35). In this vein, under the 1992 legislation, the Museums and Galleries Act, the Tate Gallery was transformed from an institution within the civil service to a corporate entity, ‘responsible for its own financial management, buildings and staff employment’ (Dewdney et al., 2013, p. 35). Essentially the Tate organization was privatized, though it was still reliant on government funding. These policies and legal enactments began to reshape Tate into a corporate, commercial concern, and in a correlated move visitors were imagined to be shareholders in this public entity (Dewdney et al., 2013). However, a New Labour cultural policy that shifted focus onto access and privilege with the goal of providing culture for all prompted Tate to think seriously about issues of social inclusion and expanding participation, especially through the categories of ethnic diversity (Dewdney et al, 2013). In 1997, a newly christened Department of Culture, Media and Sport, (DCMS), which under the previous administration had been called the Department of Heritage, undertook a comprehensive reconfiguration of cultural policy. Under the rubric of creating a ‘new cultural framework’, the DCMS formalized the provisions of its relations to organizations that received state funding through it, with a focus on the delivery of the government’s objectives for access and inclusion (Selwood, 2002, p. 13). After a review of its policies, the DCMS formulated access standards and a code of practice, and required that museums, Tate included, devise access plans in order to receive funding (Selwood, 2002). In 2000, the year that Tate Modern opens, the DCMS issued a report, Centres for Social Change (2000), setting out the fundamental aims for museums and galleries underlying the ostensible DCMS priorities: ‘Their goal should be to be to act as vehicles for positive social change’ (p. 9). The range of tasks included in this broad remit include museum based education, economic regeneration of blighted communities, enhanced community self-determination and empowerment, increased political and social equality through addressing the attitudes and values of audiences, and augmenting access to culture through displays and events staged in museums (Sandell, 2002; Gee, 2007; Gray, 2008). This broad set of objectives markedly expanded the criteria of service to the public than that which had been defined by a Conservative administration, and these goals presented Tate with a challenge. The organization had to decide how to meet performance indicators mandated by the government by way of the DCMS, and address the expanded remit for fostering positive social change, while continuing the program of remaking itself into successful twenty-first century institution charged with increasing the public’s knowledge and appreciation of art. The key strategic response Tate made to these policy goals was to construct itself as a reserve of cultural goods to be accessed by a visitor figure assumed to possess the interpretive faculties required to self-determine the particular ‘valuables’ worth procuring. This strategy married the idea of inclusive outreach and programming with the notion of an autonomous cultural consumer. The avenues of access to this cultural reserve that Tate formulated are based on differentiating the visitor figure, recognizing the specific needs of the visitor, and crafting a personalized experience for him or her. The tools used by Tate to thus develop its audiences are the tools of marketing and branding. The evidence of this is contained in marketing studies commissioned by Tate from the consultancy Morris, Hargreaves & McIntyre. The reports generated from these studies show that the visitor is primarily regarded as an autonomous bundle of consumptive needs that must be discovered and met for engagement to take place. 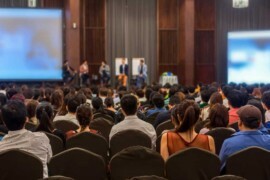 The key marketing instrument presupposing this view of the visitor that is utilized by Tate, as well as other key institutions in the field including government agencies such as the Arts Council England, is audience segmentation. [v] According to the principles of segmentation, particular visitor traits and desires are categorized within discrete homogenous groups to which particular ‘products’ or aspects of the museum that relate to these desires are promoted. For example, in the Tate Through Visitors’ Eyes: An Anatomy of a Visit (2004) report, ‘spiritual’ visitors who see Tate as a church are classified as ‘Aficionados’ and ‘Actualisers’. Those who use the museum as a spa are ‘sensualists’. 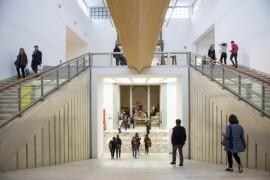 Visitors motivated most by their intellect, who are said to regard the Tate museums as archives, are described as either ‘researchers’ or ‘self-improvers’. Self-improvers are ‘people wanting to develop their knowledge of visual arts’. The last category of visitors is ‘social-spacers’, who are mainly those whose prime motivation is to be social. (p. 11). Tate effectively began to professionally market itself to audiences with its hire of the BDDP GGT advertising agency in 1997. Thereafter Tate began an aggressive pursuit of further and varied marketing activities, including opening a shop in Selfridges, having branded beer supplied by Gruppo, and branded coffee by Coffee Republic. Additionally, Tate has used outside celebrity designers to devise products for sale in its museum gift shops (Stallabrass, 2014). [vi] Tate’s foremost branding strategy was to have Wolff Olins create a visual identity package that fosters a personal connection to the visitor. This package features an out-of-focus Tate logo and a name without the preceding definitive article. This logo creates a coherent corporate identity, part of an overall branding strategy to draw consumers into relating to the institution as they would another person. Giving the organization the name ‘Tate’ without a preceding definitive article gives Tate the grammatical equivalent of someone’s name (Phillips and O’Reilly, 2007, p. 189). This branding strategy binds particular associations to a corporation and/or its products. It aims to create loyalty on the part of consumers, and attach reputational value to Tate, by creating associations with something identifiable, relatable, and concrete. Having ‘Tate’ appear in marketing materials instead of ‘the Tate’ encourages a casual relationship to the institution, not one of hierarchical difference. As these marketing strategies meet with increasing success, Tate has become further transformed into a symbolic cache of goods made available to self-directed visitors acting as culture consumers. While the visitor possesses theoretical claim to these goods by virtue of being a shareholder in the nation’s common legacy, he or she actually lays claim, that is takes possession of the ‘goods’ in the visit, by being conceived as a consumer, though the lens of marketing and branding tools. 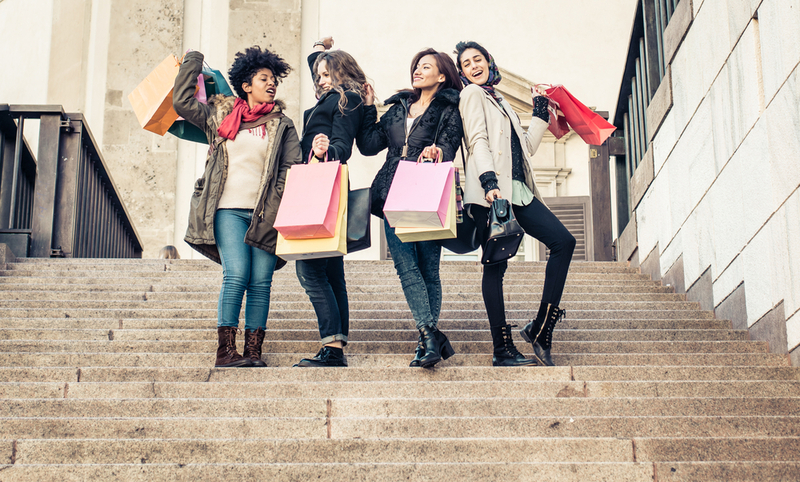 Lately, consumerism has been elaborated through existing socio-economic relations to generate an, ‘experience economy’. In an experience economy, museum visitors participate in individuated cultural consumption, which is institutionally shaped to meet the visitor’s particular needs and desires. The product, or visit experience, in the case of the Tate visit, is created by the marketer holding the visitor/consumer’s hand, allowing the visitor to direct the meaning of the visit. This co-production of the visit is clearly observable in the explicit solicitation of the visitor’s interpretive faculties for the first display arrangement of the permanent collection at Tate Modern in 2000. A personalized visit to Tate Modern is expressed in the populist discourse generated around the thematic displays, which were produced through the concerted action of interlocking programs, interpretation and marketing. Accounts given by art critics and journalists reveal that the visit associated with the thematic display arrangement promised the visitor amplified and expanded interaction with the museum object, and greater freedom in expressing intellectual agency by allowing visitors to make their own connections between and among the works hung without the typical art historical scaffolding. Through this idealized visit Tate has become associated with the idea of democracy and anti-elitism, despite robust criticism that seeks to preserve the distinction between places of serious contemplation and arenas of entertainment. The promise that the Tate brand (perhaps without full knowledge of its effects) exploits to mitigate the critique of the museum as a place of trivial engagement and unserious, solipsistic participation is that the visitor is a self-realized meaning maker. More, the visitor’s amplified agency is considered constitutive of a democratized space, a space diametrically opposed to the exclusive aesthetic chamber that rejects those lacking the proper habitus, that is, the working class and poor. Tate, as Matthew Collings admits, seems to ‘stand for social change…a sort of breakdown of elitism’ (Obrien, 2010). In another example of Tate’s marketing utilizing the theorized visitor figure who is a self-directed meaning maker, in September of 2005 Tate Britain launched a marketing campaign that invited visitors to ‘Create your own Collection’. Visitors were encouraged to create a list of up to six of their favored artworks drawn from the permanent collection, a list that constituted the visitor’s own ‘collection’ arranged according to preferences, situations, or feelings. [vii] This campaign promoted the results of the competition among the participants with outdoor posters and in leaflets made available to other visitors. The results, including the ‘I’m Hungover’, and the ‘I’ve Just Split Up’ compilations, used the works in the permanent collection to explore, elaborate, or illustrate a psychic state or corporeal experience of the visitor who essentially stood in as curator of his or her own visit. At the competition’s conclusion the campaign had generated twenty new ways of seeing and navigating the permanent collection. Within this experience economy circulates a neoliberal redefinition of participation in terms of consumption. This redefinition reinforces the view of the museum visitor as a consumer, and makes experience primarily a commodity—though the personalized visit is described in terms of democratic inclusion, heightened interaction with the art object, and innovative curatorial design featuring technologically innovative ways of extending the interpretive faculties of visitors. Complicating this theorization of the visitor is the lately heightened popularity of co-curation of crowdsourced projects, such as the ‘Create your own Collection’ campaign. Through these marketing schemes the visitor figure is further articulated, taking on simultaneous roles of consumer, producer, and collaborator, though in essence the visitor figure is an interactive consumer. Under the auspices of an experience economy the visitor is regarded as a consumer who hand-in-hand with the museum marketer creates an experience of customized meaning. The conceptualization of the visitor is demonstrably inflected by consumerism. Consumerism translates desires for particular types of experience into aspects of the museum’s physical spaces, exhibitions, public programs, or technological platforms that may be modified to secure visitor attendance. The problem with this is that museums now encourage a solipsistic experience in exhibitions and programs where the visitor eschews the intellectual intervention of the curator, thus decreasing the tension between information and narrative. This experience also obviates the intervention of common judgment. Undergirded by the notion of amplified agency for the visitor, these projects and curatorial schemes begin to make the museum a social space that is a means to exchange self-made experiences of individuated meaning. It is concluded that Tate exploits its position in the museum field as a particularly exciting brand. Its leadership as a brand allows it to hold in abeyance, that is without resolution, the complex, overlapping conceptions of the Tate Modern museum as interpretive, dialogic space, yet also a cache of public inheritance, an artistic business partner for corporations that seek to exchange economic capital for cultural capital, while also behaving as a corporate enterprise with plans for growth. The visitor shown to be correlated to Tate Modern is similarly composed of varied personas: the shareholder in the corporatized museum, the consumer, the producer of museum content, a collaborator with the museum, the autonomous meaning maker and the suggestible customer of commodified experiences. The brand mechanism has overwhelmed and brought into tenuous coherence the other aspects of the museum. Tate is a very successful brand because it keeps these ideas in public consciousness without resolving them, while maintaining its status as an institution that provides the space for confronting the difficult and complex issues of education, class status, art as entertainment, and the politics of agency. It behaves as a romantic object: never fully pleasing the visitor while not fully frustrating desire either. In this respect the personalized visit may be regarded as both a unique development in the field of museum practice and the product of a marketing tactic that yields much besides what it ostensibly promises. [i] This term has permeated museum discourse, and in most instances, is used to refer to the palpable state of involvement of the visitor, and this state of involvement is usually signified by the voluntary granting of the visitor’s time, attention, and money. However, engagement has other institutional, professional, and discursive valences. It is one of the museum’s key responsibilities. Engagement is considered in museological discourse one component of a triad of key responsibilities that encompass and describe museum practice. The other elements of this triad include the work of collecting and caring for material objects, and the research, curation, and formation of a narrative or conceit that are components of the presentation of objects to an audience. Engagement is also regarded as the forming of relations, which places it on similar footing with education, programming, and exhibitions, but also marketing, publicity, and donor development (Welsh, 2005). [ii] This thesis is currently under examination and is not yet publicly available. [iii] Through what Eilean Hooper Greenhill (2006) has termed a ‘turn to meaning’, professionals in the museum field begin to recognize that to conduct useful research and construct effective exhibits, tools and strategies that recognize and respond to variation among visitors are necessary. This turn expresses a crisis in the thinking about the visitor among researchers and museum professionals. This turn mirrors the establishing of the visitor studies discipline and the arrival of a new museology. The turn to meaning certifies the visitor (while constituting an object of study for researchers) as an autonomous bearer of specific demographic features, as well as feelings, values, attitudes, and expectations that are crucial to analysis of the museum experience. The new museology is a movement that occurred towards the end of the twentieth century and is comprised of an interrelated suite of developments among museums, museum professionals, researchers, critics, and visitors. It brought together influential critiques of both scholarship and professional practice, and brought about a rethinking of what museums should be and do with regard to visitors. The new museology represents a significant development in two key ways: a), a shift in focus from the care of objects and collections to the visitor; and b), a growing reflexivity of the museum, that is, an awareness of itself as a cultural institution that participates meaningfully in the lives of visitors through producing cultural messages. More, the onset of the new museology means an explicit shift in the philosophical orientation of museums towards a role of social utility. Museums now embrace their roles in community service and policies that decrease intellectual asceticism and elitism and increase ‘democratic’ inclusion. [iv] A similar notion of the museum’s educative powers was gaining institutional recognition and imprimatur in the United States, mostly expressed in and through the largest and most prominent body organizing the museum profession at the time, what was then known as the American Association of Museums (AAM) (now the American Alliance of Museums). Just two years after ICOM’s conference, the American Association of Museums, also manifested the call on museums to take up this burgeoning identity. A group of museum educators threatened to secede from the AAM because of lack of voice in the governance of the organization. Almost a decade later, the AAM was able to state its unequivocal support for the notion of museum as educator. In 1984 it published a report, Museums for the New Century, which explicitly embraced education as a primary purpose for museums (Weil, 1999, p. 234). Despite this, the notion of a new museology has not taken hold in the US in the way it has in Europe. This is to say the new museology is generally not regarded by scholars in the US as the cause or root of changes to professional practice or conceptualizations of the visitor and visitor behavior. [v] In the Arts Council’s Arts Audiences: Insight (2011) report, the writers declare that they have developed an ‘art-based segmentation of English adults’, because ‘segmentation can help organizations to understand their markets, identify groups of consumers they would like to target and develop products and communications that anticipate their needs’ (p. 4). At the same time, the Arts Council was calling for increasing the diversity of the museum’s audience and widening the museum’s reach to take in those members of communities regarded as historically underserved. In their 2014 report, Equality and Diversity Within the Arts and Cultural Sector in England, the consultancy writing for the Arts Council states, ‘such segmentations aim to be a key audience profiling and marketing tool for the arts and cultural sector, and Arts Council England has encouraged the sector to collect and profile audience data and develop audience development plans on the back of such work’ (Consilium Research & Consultancy, 2014, p. 19). This is evidence that the visitor as consumer slips into an agenda for increasing access. [vi] With its marketing efforts the institution has sought to present itself as shrewd and progressive, not skeptical or distrustful of enterprise culture, but adaptive to it, able to harness its tools. The marketing extends into branding. The range of products that have been packaged with Tate’s distinctive logo, that is to say, branded, is extensive: sugar, mince pies, sketchpads and pencils, paint, wallpaper and artwork frames are among them. These products, which are essentially used as vehicles of positive association, are tools by which Tate makes itself a part of an increasing number of consumers’ lives. Tate’s brand has widespread presence in the market, but its brand is constituted in the particular associations that the name evokes for the consumer—associations of innovation and fun exploration. [vii] The list constituted a guide; the permanent collection was not rehung. The campaign was essentially an imaginative heuristic. Department of Culture, Media & Sport. (2000). Centres for social change: Museums, galleries and archives for all (DCMS Publication). Retrieved from here. De Varine, H. (1985). Editorial: The word and beyond. Museum, 148(4), 184–185. Dewdney, A., Dibosa, D., & Walsh, V. (2013). Post critical museology: Theory and practice in the art museum. London: Routledge. Gee, C. B. (2007). Valuing the arts on their own terms? (Ceci n’est pas une pipe). Arts Education Policy Review, 108(3), 3–12. Gray, C. (2008). Instrumental policies: Causes, consequences, museums and galleries. Cultural Trends, 17(4), 209–222. ICOM. (1971). International museology seminar. ICOM News, 24(1), p. 40. Morris, Hargreaves, McIntyre. (2004). 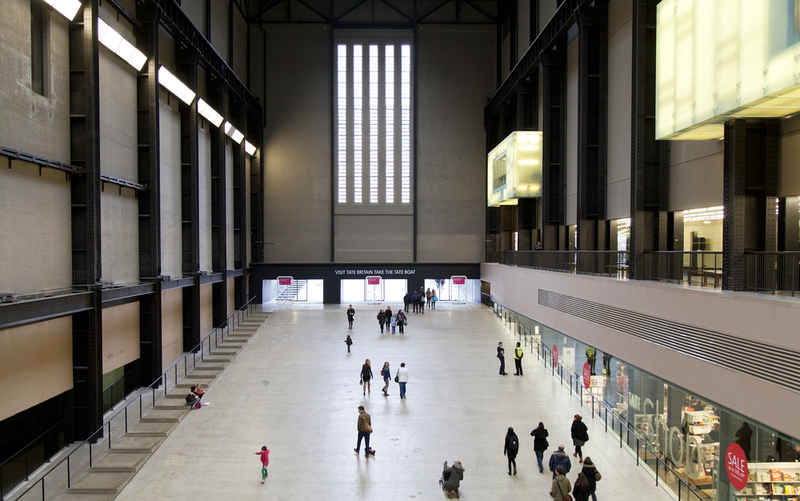 Tate through visitors’ eyes: An anatomy of a visit. Manchester, UK: Author. O’Brien, B. (Producer) (2010, May 30). Tate Modern is 10! A Culture Show special. The Culture Show. BBC Two. Phillips, M., & O’Reilly, D. (2007). 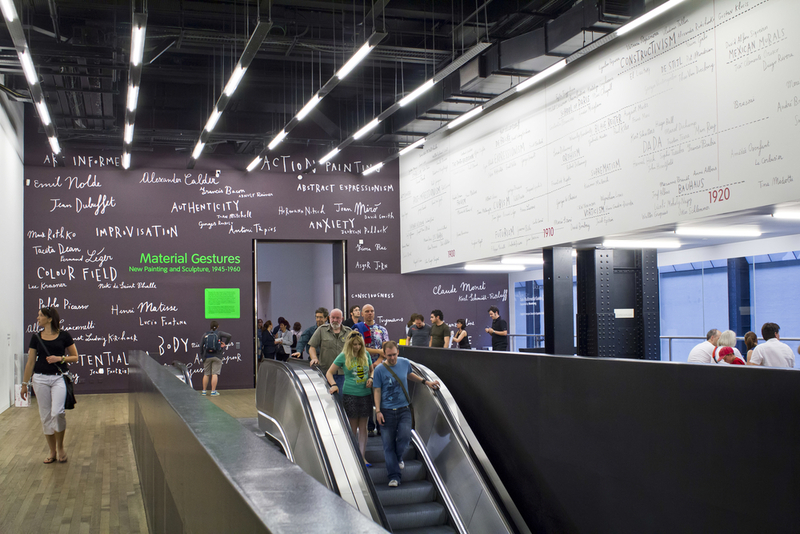 Major case study: Rethinking Tate Modern as an art museum brand. In R. Rentschler & A.M. Hede (Eds. ), Museum Marketing: Competing in the Global Marketplace (pp. 186–191). Amsterdam: Butterworth-Heinemann. Power, M. (1997). The audit society: Rituals of verification. New York: Oxford University Press. Ross, M. (2004). Interpreting the new museology. Museum and Society, 2(2), 84–103. Sandell, R. (Ed.). (2002). Museums, society, inequality. London: Routledge. Selwood, S. (2002). Audiences for contemporary art: Assertions vs evidence. In C. Painter (Ed. ), Contemporary Art and the Home (pp. 11–33). Oxford: Berg. Stallabrass, J. (2014). The branding of the museum. Art History, 37(1), 148–165. Seph Rodney was born in Jamaica, and came of age in the Bronx, New York. He has an English degree from Long Island University, a studio art MFA from the University of California, and has submitted a research PhD thesis at Birkbeck College, University of London on how the rhetorical figure of the visitor has changed in art museum discourse in the last generation and how this change is conditioned by UK government cultural policy, the new museology, the onset of an experience economy and the rise of marketing and branding as the primary methods for visitor engagement and audience development. He writes about contemporary art for several publications, which include Hyperallergic, Artillery Magazine, and the Nomadic Journal. He created, produced, and hosted a radio show in London called The Thread, broadcast on Resonance FM from 2008-2011. He has been a featured speaker in the Favorite Poem Project.